As most of you know, Amanda White (from OhAmanda.com) and I have been chatting about movies (right here in Episode 27 and Episode 31) and labeling ourselves (maybe?) “Family Movie Moms”. And we’re at it again. This episode, however, is directed towards older kids and date nights. . .still family movies but for the older members of your family. Because we talk about 5 different movies, this is a longer episode. We considered chopping it up into 5 episodes or two parts. But decided y’all are adults and can decide when to start & stop based on your multi-tasking/podcast listening habits. a historical piece, based on a true story, addressing topics of race, social standing, value of life, and human justice. misfits coming together for one common cause–don’t have to be the greatest & brightest to do great things. a story of redemption in careers and marriage. Going back to your first love. what you miss out on when you live in a world where everyone is the same. promotes the value of life and the importance of how we are meant to be different. how simple/easy/same keeps us from experiencing the highs & lows of emotion. 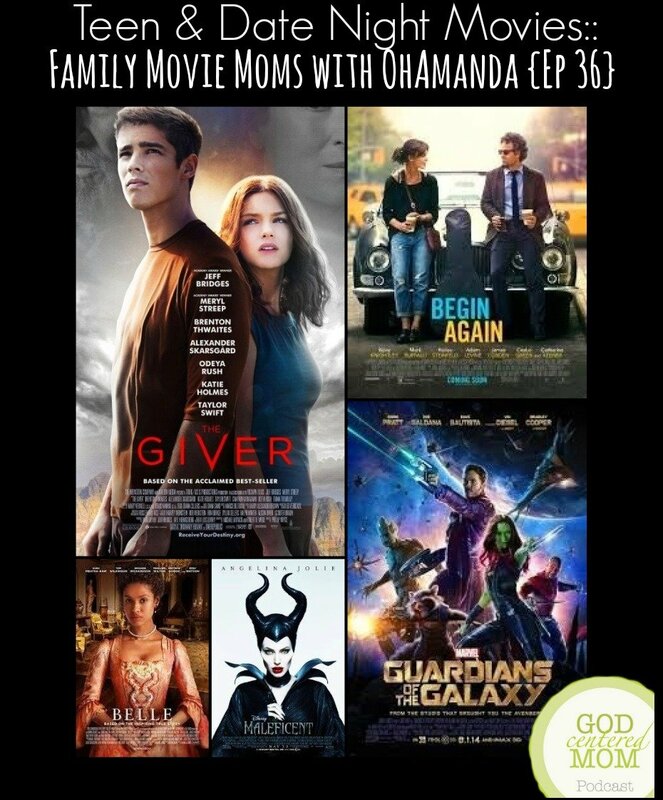 Does your family follow the movie rating guides? How do you decide if a child is old enough to see a movie?